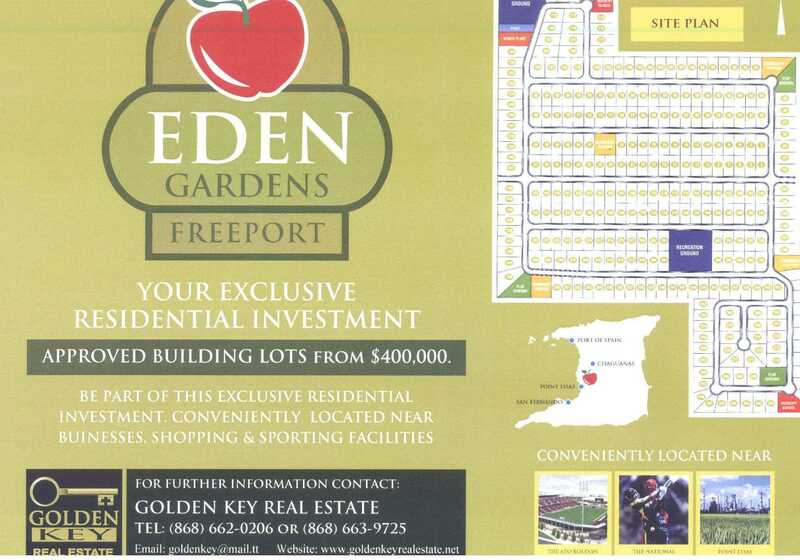 In November 2016, the State filed its lawsuit against certain former Public Officials and their presumed collaborators for alleged fraud in the HDC’s 2012 purchase of 50.5 acres at Eden Gardens in Freeport. The defendants named in that lawsuit were – Jearlean John (former HDC Managing Director), Henckle Lall (former HDC chairman), Greg Davis (former deputy HDC chairman), Peter Forde, Project Specialist Ltd, former commissioner of valuations Ronald Heeralal, Point Lisas Park Ltd, Anthony Sampath, Patrick Soon Ting and lastly, Everil Ross, who was formerly attached to the Valuation Division. On 17th April 2018, the High Court dismissed the State’s lawsuit when it refused to grant the State further extensions of time to file its full case. That has been claimed by the defendants as a form of exoneration. Nothing could be further from the truth. Nothing. Why was it acceptable to buy any land at all in Central Trinidad, given the abundance of nearby disused Caroni lands? Why was the option of acquiring Eden Gardens by compulsory purchase ignored? After all, it could not have cost more than $35M to lawfully acquire Eden Gardens. Given the choice made by the HDC, what were the advantages of Private Treaty? Why was the November 2011 private valuation commissioned? At what price did Point Lisas Park Ltd first offer this property to the HDC? What steps did HDC take in respect of the under-stated consideration in the 2010 deed for the sale of Eden Gardens? When was the infrastructure completed at Eden Gardens? At what cost? To which party’s account were those infrastructure costs applied? Did Point Lisas Park Ltd pay all those costs? How much did HDC pay for the Eden Gardens infrastructure? Who owns Point Lisas Park Limited? My search of the Registrar General’s records show that no shares were ever issued, so just who is the Ultimate Beneficial Owner of that company? The private valuation was less that one-third of the valuation from the State’s adviser, which I have never heard of. Never. Why did this massive discrepancy raise no ‘red-flags’? The case was re-filed (CV2018-01504) against the same defendants on Friday 27th April 2018 and the High Court will have to rule on what is in my view a most grievous case of Grand Corruption. This is a case of historic importance, since we are seeing the State adopt an effective method to put these perpetrators before the Court by taking the civil lawsuit route to attack Grand Corruption. November 2012 – HDC purchased Eden Gardens from Point Lisas Park Ltd for $175M, which equates to $663,000 per lot for a sale of the entire property. Of course the dismissal of the original case was met with claims of victory from the defendants in the expected political exchanges, so one has to deal soberly with these claims of vindication. One of the references used by the defendants is the Integrity Commission complaint on Eden Gardens which was dismissed some years ago. Those claims hold no water since that complaint was that there had been payment of a secret commission, which forms no part of the present case. Linden Scott & Associates reported that Eden Gardens was worth $52M in November 2011. Linden Scott is a rival of our own firm, he is a Fellow of the Royal Institution of Chartered Surveyors and qualified as a Chartered Surveyor on 18th January 1983. Ronald Heeralal, then Commissioner of Valuations, reported on 6th March 2012 that Mr Scott’s report on Eden Gardens was “…grossly understated considering the current state of the development and on the assumption that all statutory approvals have been had for intensive residential development…”. Mr Heeralal went on to provide a valuation report on Eden Gardens for $180M as at 26th April 2012. Mr Heeralal qualified as a Chartered Surveyor on 30th July 2013, he has since retired from the public service. crying that it will run out of money! The owners of the NIB- workers and employers want to get justice on this matter. There may be a case to answer here. Is the Government serious about actual Justice,or selective Prosecution just long enough for Policital gain. ?For the past (60) Years all I witnessed was selective persecution for Political gain whereby very few or nobody went to Jail.